Springfield - Spectacular Home In Low $200'S. Don'T Miss It! MLS#6524376. Berkshire Hathaway Homeservices Georgia Properties. Finished Terrace Level W/Full Bath And Bedroom Or Media Room. MLS#6524509. Harry Norman Realtors. Walk-Out Paver Patio W/Privacy Fenced Courtyard. MLS#6523771. Atlanta Fine Homes Sothebys Intl..
Academy Park - Swim/Tennis, Nature Trail, Fitness Facility. Walk To Downtown & Avalon. MLS#6523422. Keller Williams Rlty Consultants. This Townhome Is Loaded With Upgrades Including Sub-Zero Fridge, Wolf Range, Ge Monogram Dishwasher & Microwave, Cambria Quartz Counters In Kitchen And Both Full Bathrooms, Upgraded Hardwoods Throughtut (No Carpet), Upgraded Tile, Cabinets And Trim Package, Custom Plantation Shutters & Shades, Custom Closets In All Bedrooms, Custom Painted Garage Floor, Large Flagstone Patio In Back. Easy Access To Ga400. MLS#6523359. Keller Williams Realty Intown Atl. Whirlpool Fridge; Newer Deck (1Yr) Newly Painted Interior; Laundry Upstairs; Finished Basement W/Optional 4Th Bedroom & Full Bath; Vaulted Master Bedroom W Spa Bath & Walk-In Closet; Swim Community; Walkability Index Of 10; Less Than 1 Mile To Downtown Alpharetta; Culdesac Provides Extra Parking. MLS#6523467. Keller Williams Rlty, First Atlanta. Jamestown - Located Close To Hwy 400, And Many Restaurants And Social Locations. MLS#6523106. Solid Source Realty, Inc.. This End Unit Townhome Is Nearing Completion And Will Be Ready For An April Move-In! MLS#6522654. Mark Spain Real Estate. 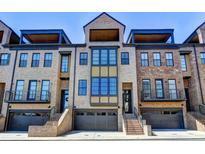 This End Unit Townhome Is Nearing Completion And Will Be Ready For An April Move-In! MLS#6522679. Mark Spain Real Estate. This End Unit Townhome Is Nearing Completion And Will Be Ready For An April Move-In! MLS#6522663. Mark Spain Real Estate. Back Deck Has Been Upgraded With Composite Decking And Aluminum Balusters. MLS#6522460. Keller Williams Realty Chattahoochee North, Llc. 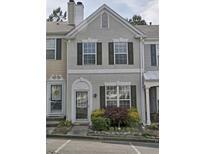 Nesbit Place - Close To Parks, Schools, Highways And Marta. MLS#6523243. Harry Norman Realtors. Elegant Coffered Ceilings, Butlers Pantry, Private Back Deck Overlooks Natural Tree Area. MLS#6522508. Village Realty. 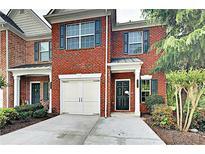 Great S/T Community In A Convenient Alpharetta Location. Hurry! MLS#6522051. Coldwell Banker Residential Brokerage. River Ridge - You Will Be Delighted By The Spacious Eat-In Kitchen That Includes Granite Countertops, Real Wood-Stained Cabinets, Double Oven (Microwave/Regular Oven), Electric Stove Top, This Home Also Features Hardwood Floors Throughout, Seller Is Very Resonable!! Priced To Sell. MLS#6521053. Virtual Properties Realty. Biz. 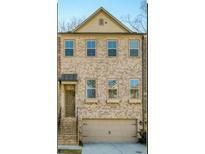 Amazing Location Minutes From Avalon, Downtown Alpharetta & North Point Mall. Ready Summer 2019. MLS#6520579. Ashton Woods Realty, Llc. Upgraded Light Fixtures & "Agreeable Grey" Wall Paint Color Throughout Looks Great! MLS#6519173. Re/Max Around Atlanta Realty. 4 Sides Brick, End Unit Townhouse *3 Levels Of Living *In-Law Suite *Upgrades Throughout *Open Concept Living Room/Dining Room *Butler'S Pantry *Coffered Ceilings *Hardwood Floors *Gourmet Kitchen *Breakfast Bar Island *Granite Counters *Stainless Appliances *White Cabinets *Fireside Keeping Room *Barn Door *Private Owner'S Retreat *Spa Bath *Double Sink Vanity *Soaking Tub *Tiled Shower *Walk-In Closet *2 Secondary Bedrooms On Upper Level *Daylight Terrace Level *Wet Bar *Media Room *Full Bath *Screened-In Porch *Smart Home Technology *2 Car Garage MLS#6519077. 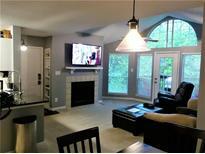 Exp Realty, Llc..
Enclave At Milton Park - Less Than A Mile From Ga-400, In One Of Atlanta'S Top School Districts, Walking Distance To Avalon, Greenway And Many Of The Thriving Alpharetta Restaurants And Shops This Home Epitomizes The Comfort Of North Atlanta Living. MLS#6517824. Keller Williams Realty Signature Partners. Also Features Quartz Countertops Throughout, Stainless Steel Appliance Package To Include Refrigerator, 5" Hardwood Floors, Lighting And Fireplace Allowances. Plan F-West Main Townhomes MLS#6517659. Berkshire Hathaway Homeservices Georgia Properties. The Sophistication Of The Curved Staircase And 2-Story Foyer, The Designer Palette Of Paint Schemes, Chef'S Patterned Kitchen And Butler'S Pantry, And The Classic Detailing You Demand Throughout The Home Brings Quiet Community Privacy In The Heart Of Vibrant Alpharetta To Its Finest Point. MLS#6517772. 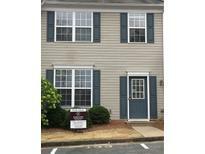 Your Home Sold Guaranteed Realty, Llc..
Hardwoods On Main Living Area And Treads To Second Level Where You Will Find 1 Bedroom With Full Bath And A Loft Area.Come And See What The "Harlow Lifestyle" Is All About! MLS#6517641. Ea Brokerage, Llc..
Model Of Similar Plan Ready To View. MLS#6517843. Mark Spain Real Estate. Model Of Similar Plan Ready To View. MLS#6517832. Mark Spain Real Estate. Special Financing Available Thru Sirva Mortgage. 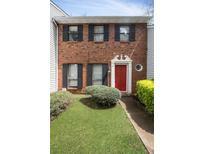 MLS#8541215. Keller Williams Rlty.North Atl.